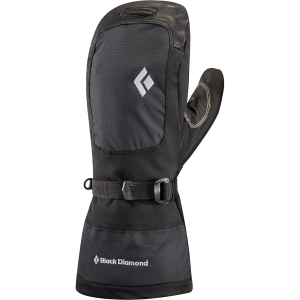 The Mercury Mitten is Black Diamond’s most versatile and popular year-round mitt for skiers, climbers, and alpinists. 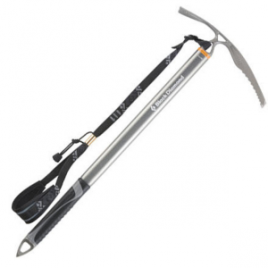 Remove the liner for summer expeditions, and keep the two together for winter climbs. A BDry insert gives this mitten exceptional waterproof protection, and the removable liner’s innovative PrimaLoft Gold synthetic insulation feels and compresses like down yet protects your hand with long-lasting water-resistance. Pertex Shield also assists with waterproofing as well as providing a four-way stretch for freedom of movement. 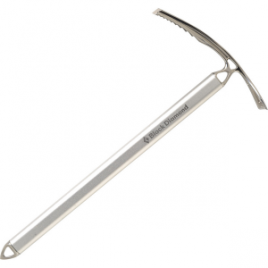 The Mercury also features a goat leather palm for a good grip, Kevlar stitching for durable reinforcement, and a split finger design that give the removable liner more dexterity.